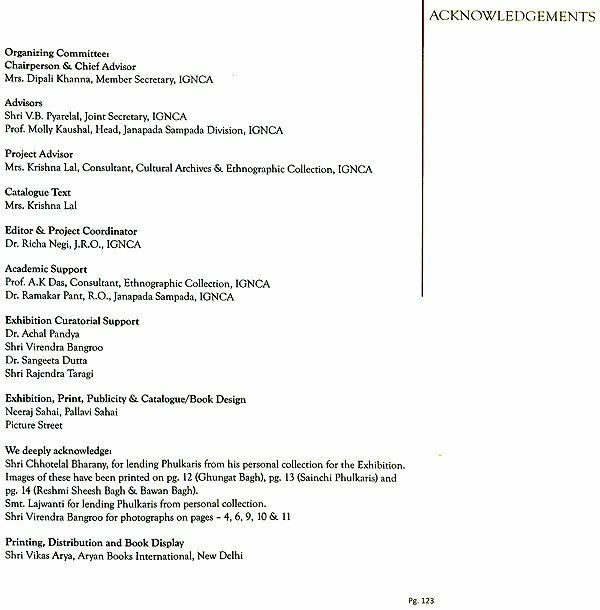 The Indira Gandhi Centre for the Arts (IGNA), was established in the memory of Late Smt. Indira Gnahi and is visualized as a centre encompassing the study and experience of all the arts, each form with its own integrity yet within a dimension of mutual interdependence, interrelated with nature, social structure and cosmology. The Janapada Sampada division of the IGNA undertakes research of the Indira cultural phenomenon in its totality and builds core collection of material and documentation on folk and tribal arts through multidisciplinary approach. 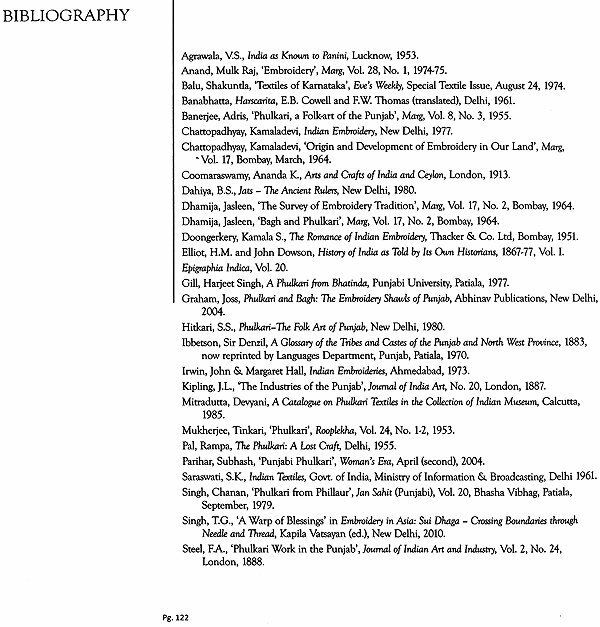 One of the major programs of the division is Ethnographic Collection under which creativity at different levels is explored, researched and documented. 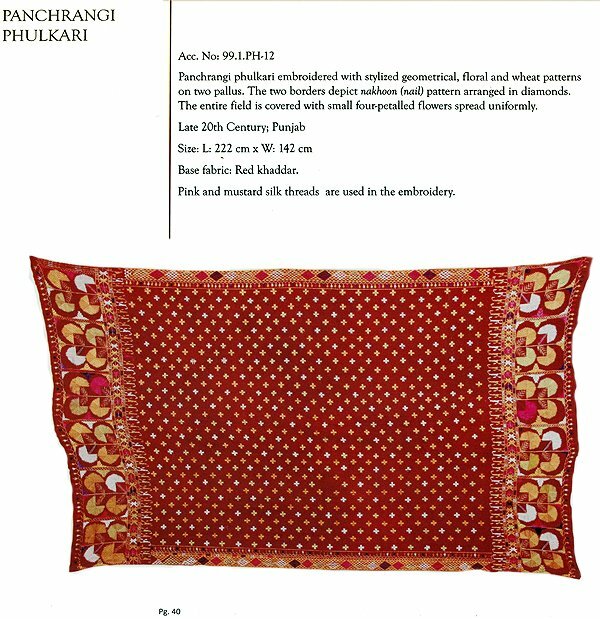 This collection involves ritual objects, masks, puppets, musical instruments and textiles collected from various regions of the country, out of which among these fifty two rare pieces of Phulkari collection were also acquired. 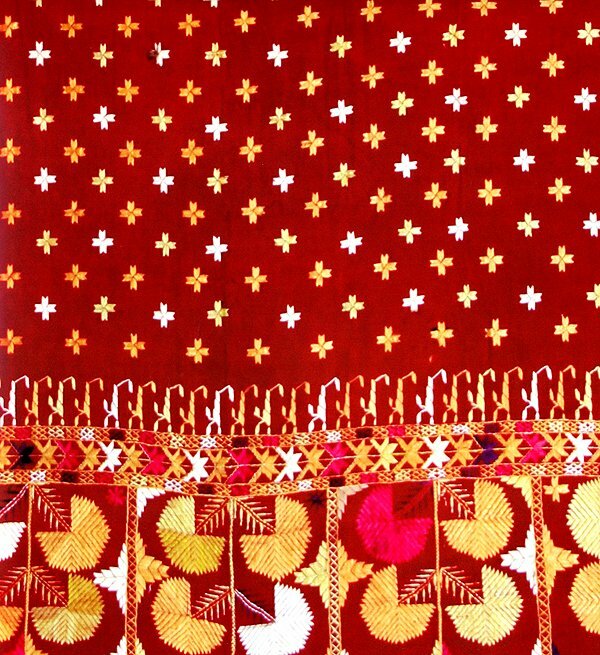 Phulkari is a very refined embroidery work of Punjab and Haryana. 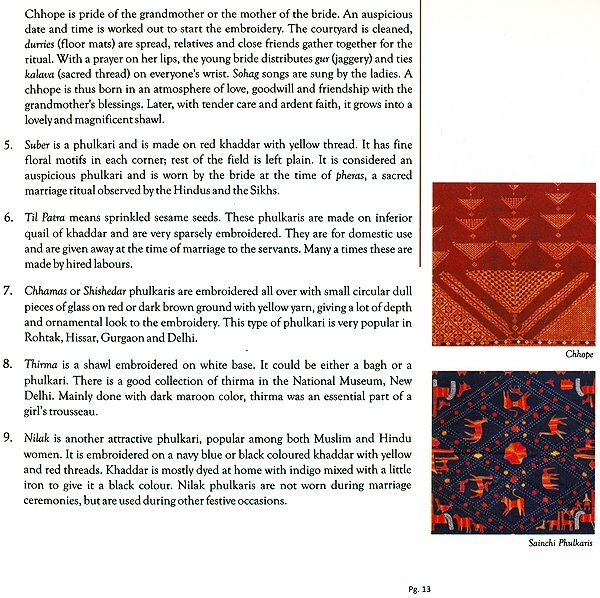 India has a great tradition of embroidery in different parts and phulkari stands out among these. It has more emotional, social and cultural value which is very rare. Embroidered with silk thread on cotton base, phulkari is a shawl made by the mother for her young daughter or daughter-in-law. 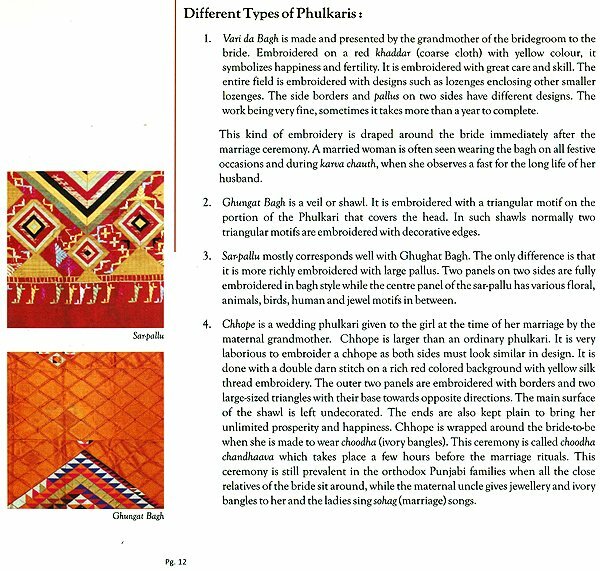 Phulkari literally means floral work and is called Bagh, which literally means a garden. 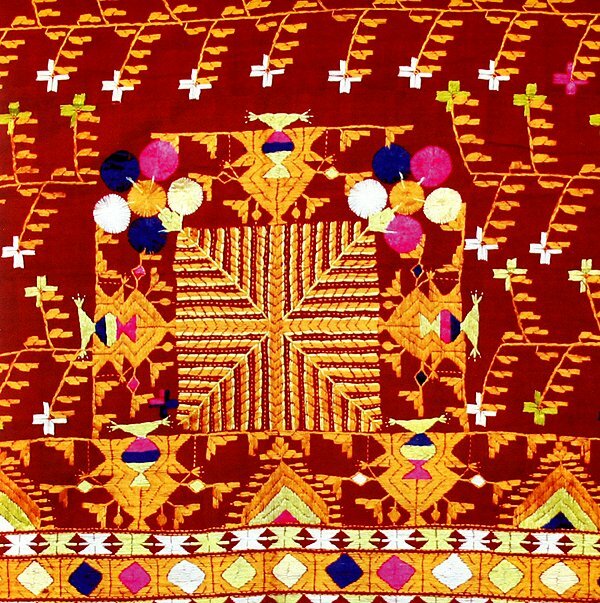 In the olden times, accomplishment of a bride and her mother was judged by the beautiful phulkari and bagh they gave to their daughters in their trousseau. 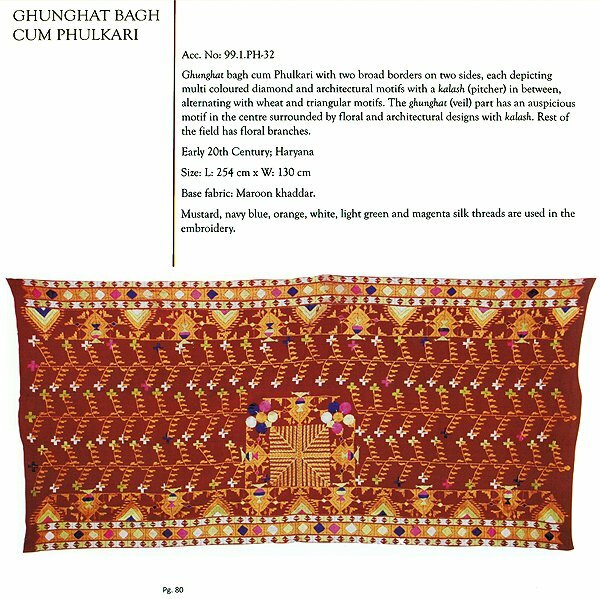 They also made ceremonial pieces which were used in marriages, at the time of birth of a child and during festive occasions. Phulkaris are known for their vibrant colours, geometric pattern and gaiety which are an integral part of the life and tradition of the people of Punjab. The IGNA has completed twenty five years and is celebrating its silver jubilee by holding seminars, conferences, and exhibitions on various dimensions of Indian arts and culture. Keeping with this spirit, the centre is organizing an exhibition of its collection of the embroidery of Punjab entitled, ‘Phulkari: from the realm of women’s creativity’. The event encompasses interactive workshop with the women artisans of this craft display their work on phulkari; special lectures by noted scholars; and an evening of cultural performance .